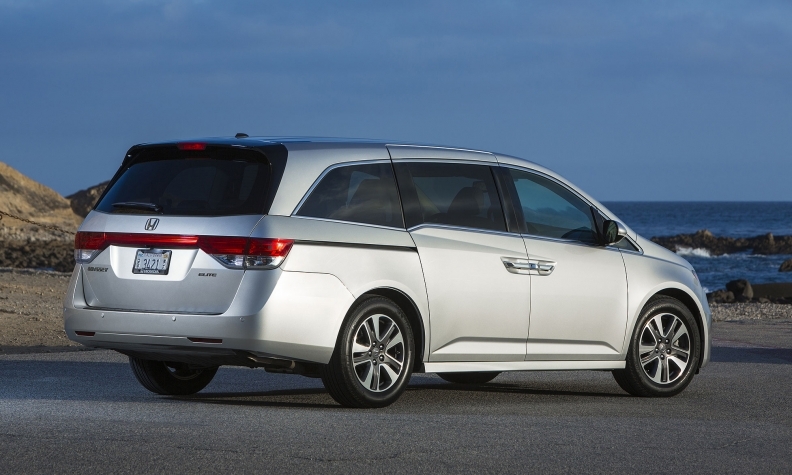 A 2016 Honda Odyssey minivan under recall. WASHINGTON -- Honda Motor Co. is recalling about 900,000 minivans — 70,000 of them in Canada — because second-row seats may tip forward if not properly latched after being adjusted. The automaker said the recall covers 2011-17 Honda Odyssey minivans, all but 2,000 of which are in North America, and that it had 46 reports of minor injuries related to the issue. About 800,000 of the recalls are in the United States.